KICK Illustrierte was a German language martial arts and fighting sports print magazine distributed in Germany, Austria, Switzerland and various other European countries from 1991 to 1998. Kick was dealing about martial arts of various kinds, including competitive sports like kickboxing, Mixed Martial Arts and Taekwon Do, but also covering traditional disciplines including Karate, Kung Fu and others. It was also following great martial artists’ careers, conducting interviews, reviewing books and presenting background information. 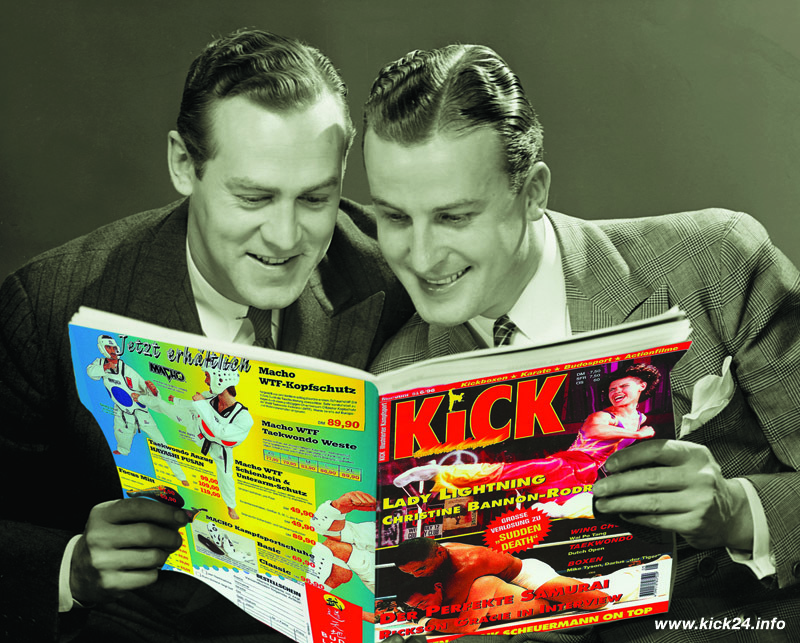 Kick magazine was highly regarded for it’s great quality content, paper and print. Some of the World’s best known martial arts journalists contributed to this unique publication including John Corcoran, Karl-Bernd Bockstahler, Andre Lima, Dan Inosanto, Stefan Billen and Horst Kalcher. This online version represents an archive of Kick‘s best articles from printed edition that is no longer being published on newsstands. If you wish to contact us or are interested in publishing your content here, we might consider, but so far it is just an archive with no regular new updates scheduled. But who knows what will be in the future. Feel free to use contact form to get in touch in case you want to break news to a wide German audience of true martial arts enthusiasts.